I don’t often compare books to Gone Girl, and while it is a deliciously twisted plot, it more reminds me of that story because the main characters in both novels are horrible. I genuinely hated the main character in The Last Mrs. Parrish but my anger made me want know what happens to her. Amber Patterson is a sociopath. She is intelligent, cunning and extremely manipulative. Her current target is the spouse of Daphne Parrish, the incredibly handsome and rich Jackson Parrish. Her plan is to befriend Daphne and become close to Jackson. While we watch her plan unfold it becomes clear that not everything in the life of the Parrish’s is as perfect as it seems. 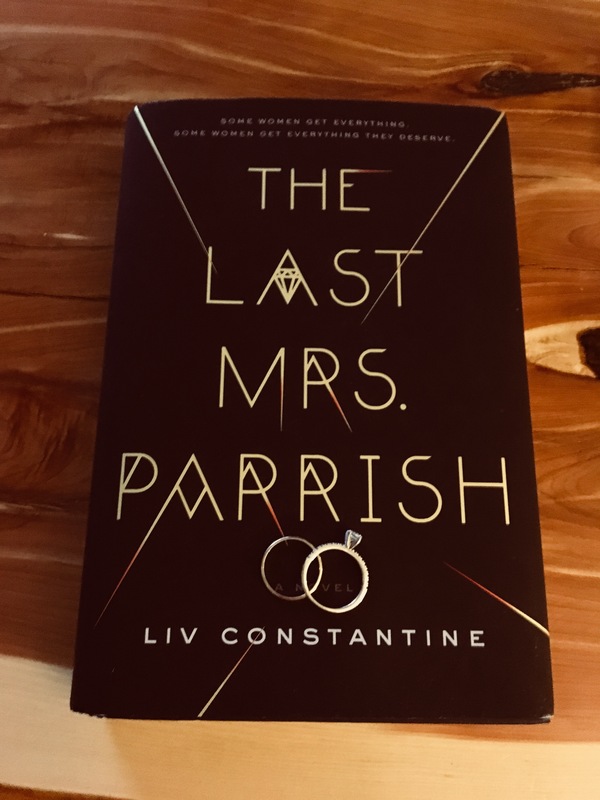 The Last Mrs. Parrish is 390 pages and took me three days to read. I give this book a 4 out of 5 for its awesome ending and completely stomach turning characters. I loved this book and how it plays out! Thank you Harper for sending me this advanced copy!